Philip Doddridge, engraved by T. Halpin, based on the painting by Andrea Soldi (18th century), in Edwin Long, Illustrated History of Hymns and Their Authors (1875). Note: Job Orton died in 1783. Graham C. Ashworth, The Hymns of Philip Doddridge (Grand Rapids: Soli Deo Gloria, 2010). 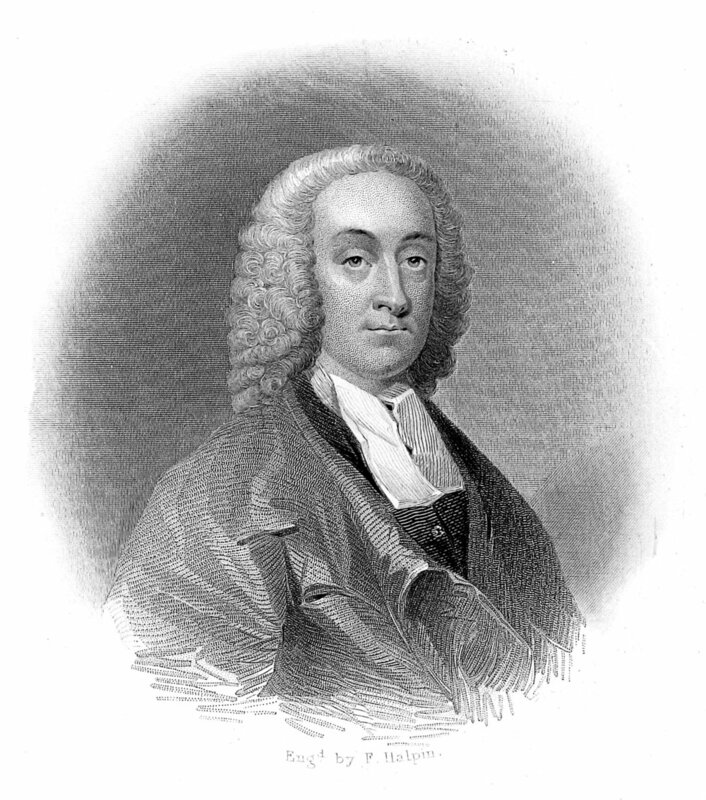 Geoffrey F. Nuttall, Philip Doddridge, 1702-51, His Contribution to English Religion (London: Independent Press, 1951). Malcolm Deacon, Philip Doddridge of Northampton (Northampton: Northamptonshire Libraries, 1980). Françoise Deconinck-Brossard, “The Circulation and Reception of Philip Doddridge's Hymns,” Isabel Rivers and David L. Wykes, eds., Dissenting Praise: Religious Dissent and the Hymn in England and Wales (Oxford: Oxford University Press, 2011), pp. 68-94.